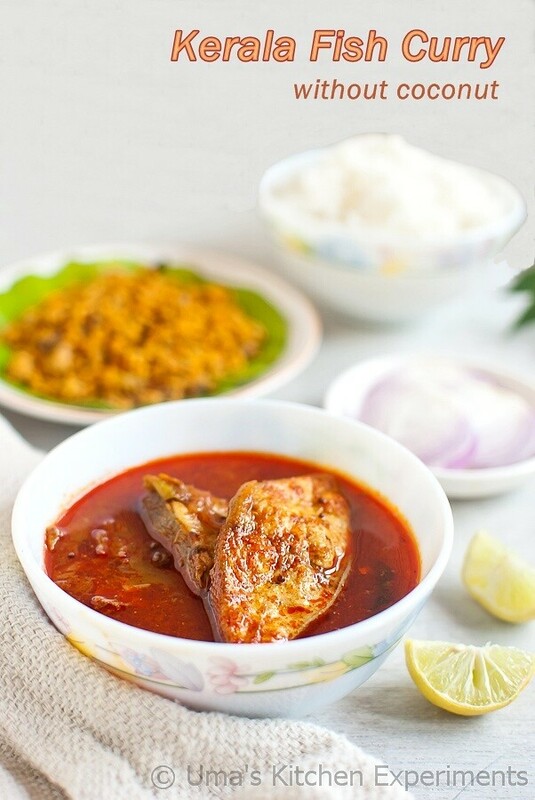 Preparing a perfect fish curry is always a challenging task. 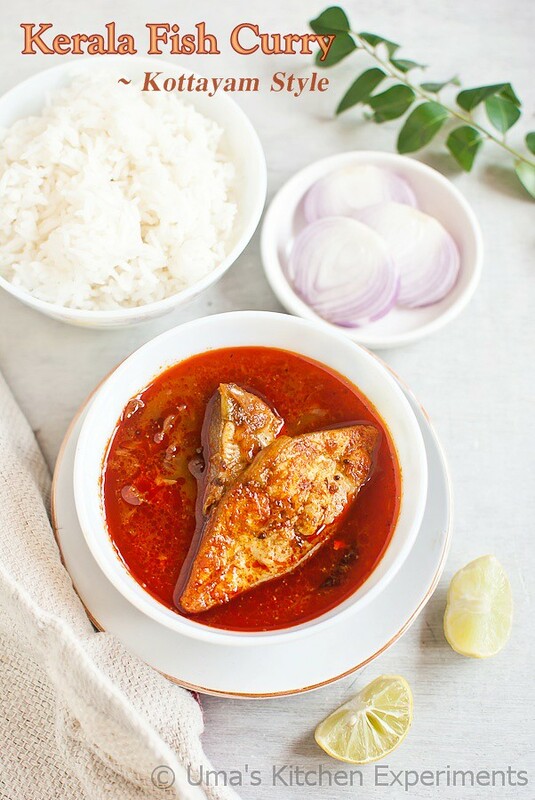 My MIL says if one is an expert in cooking non-veg recipes doesn't necessarily meant that he/she can cook the "perfect fish curry" as this dish needs special skills. 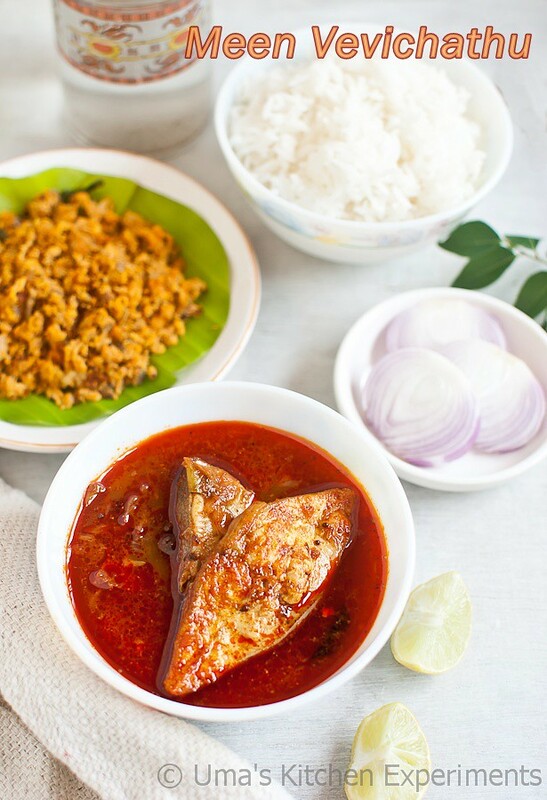 Though the method sounds simple the art of preparing the "perfect fish curry" comes only by experience. I love my MIL's authentic style fish gravy and she prepares it in the best way. I have not tasted any other fish curry other than the ones that has the usual taste of my MIL's curry. 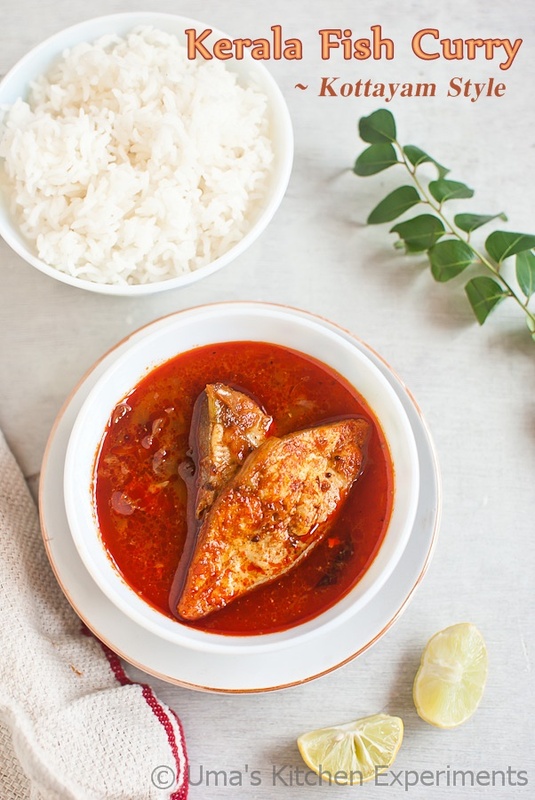 I have good number of bookmarked fish recipes, different ones like kerala style, bengali style etc. Ever since I saw this recipe from Nisa's Place, I wanted to try it out. Her pictures made me to drool a lot and I was excited a lot when I too got the same color for the curry during my 1st trial itself. I inquired her quickly where I can get the "kudam puli" in Chennai, but I couldn't get it anywhere. However I had my luck during my trip to Coorg. I got lots of spices along with this pack. Ok, I'll move on further to the recipe without wasting your time further. 1) Soak kudam puli in 1/2 cup of water and keep aside. 2) Heat 2 tablespoons of coconut oil in the kadai/ pan. 3) Throw mustard seeds and fenugreek seeds when it is hot and allow it to splutter. 4) Add sliced onion, curry leaves and green chill. Saute till the onion becomes translucent. 5) Add ginger garlic paste and saute till raw smell goes off. 6) Lower the flame and add kashmiri red chilli powder, turmeric powder and salt. 7) Mix and stir well it raw smell of added masala goes off. 8) Add the soaked kudam puli along with water. Add remaining 1 cup water. Mix well. Increase the flame to high. 9) Let it roll boil well. Add the fish pieces. 10) Reduce the flame to medium, cover and cook for 10-12 minutes. Do not stir. If required stir gently without breaking the fish. 11) At last, drizzle remaining coconut oil and turn off the flame. 12) Serve with hot steamed rice. 1) Adjust the red chilli powder as per your spice level. Remember we also added green chilli to this gravy. 2) I could feel the difference in taste when I prepared this gravy with kudam puli and normal tamarind what we use for day-to-day cooking. Use kudam puli for authentic Kerala taste. 3) I prepared this curry with seer fish. Any kind of fish can be used in this gravy. 4) I got bright red color due to the usage of kashmiri red chilli powder. 5) Reduce the water quantity if you find the gravy is thin. If you find water quantity is more in the dish then allow it to roll boil until the recipe reaches the required consistency. Add the fish pieces only after you get the required consistency as it cooks faster. Yummy and tempting fish curry. Can you please also post your MIL's fish curry recipe? If its same as prawn curry from her then I can just replace prawns with fish-please confirm.